Commemorated January 26 / February 8. 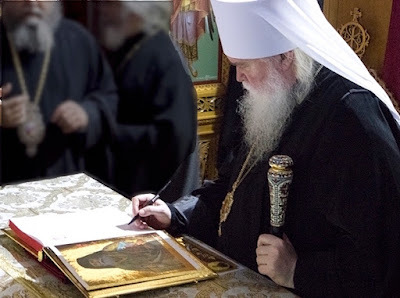 April 28 (to date) The truly Orthodox Church of Greece, led by the Synod under the authority of the Archbishop of Athens and All Greece, Kalinnik, glorified St. John the New Merciful (+1966), a blessed clergyman of the Greek Old Calendar Church, adorned with miraculous signs in life and after death. To participate in these celebrations, Metropolitan Agafangel and Protodeacon Michael, who arrived earlier, were joined by the Bishop of Haifa Roman (ROCOR) who arrived the night before. In all for the Divine Liturgy in the church of the Great Martyr Demetrius of Thessalonica in Piraeus, 16 bishops from the Greek CPI, Romanian CPI and the Russian Church Abroad prayed. The glorification was solemn and ended with the procession of the cross around the whole quarter. 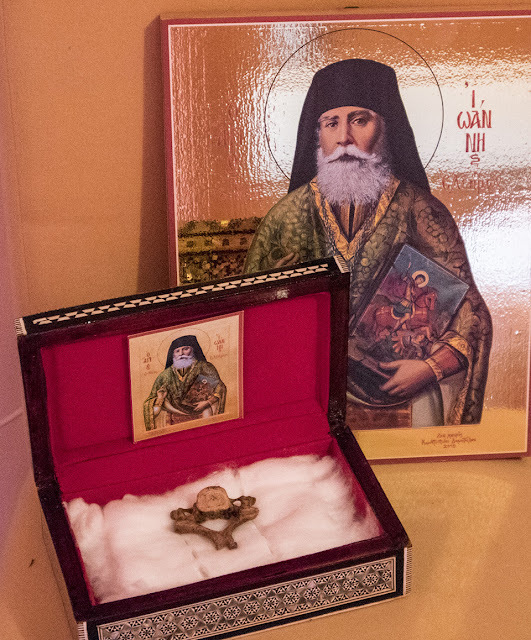 Archbishop Kalinnik, from the Greek Church donated to the Metropolitan Agafangel and ROCOR a portion of the relics of the saint and his icon.